For a nation with a sizable portion of their population possessing northern European roots, there is surprisingly little known about the South African music scene that embraces a traditional sound emulating that from both sides of the Atlantic. In the UK, this is about to change as Laurie Levine sets out on a journey to leave the warmth of a southern hemisphere summer and promote her brand of folk/roots to a new but surely appreciative audience about to descend into the long dark northern European winter. On the evidence of this recently released album (new to the UK although debuted in South Africa in 2011), aptly titled SIX WINTERS, the wait for spring may just feel a little shorter as connoisseurs of fine music have a highly accomplished new record to add to their listening collection. While the record draws much of its influence from the American roots music of Appalachia, it would be inappropriate just to label it another Americana release especially for an artist who has moulded an original sound in her native South Africa. The distinct vocals of Laurie gracefully adorn each well constructed and intelligent track while the musical accompaniment comprises of a virtually complete set of sounds you would expect from a recording of country roots music. Pedal steel, banjo, mandolin, accordion et al are subtly integrated into each track to give the album a traditional feel that will inevitably draw comparisons with the rich heritage of Americana-influenced music. 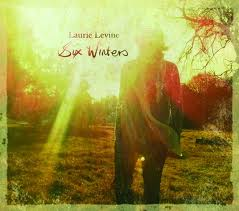 SIX WINTERS is the third full length album from Laurie and is available in both a standard 12-track format as well as a deluxe edition containing three extra songs including a couple from an earlier release and an acoustic number called ‘Dear Johnny’. All but two of the tracks are solely credited to Laurie with the exception being ‘Heaven’s Door’, co-written with fellow band contributor Lize Wild, and the solitary cover ‘Ring of Fire’. While the inclusion of the latter is usually somewhat clichéd, it is to the credit of Laurie that her radically slowed down version adds value to the original. It is almost rude to mention a cover first when a talented singer-songwriter has packed their album with so many delightful original compositions so let’s quickly move onto the highlights of the record. Several repeated listens have probably earmarked the title track as the album’s defining moment. ‘Six Winters’ has a fantastic chorus structure that implants the song firmly in your mind with a little elegant violin to ease it to its conclusion. The banjo introduction to ‘Where Have You Gone’ sets the scene for another fine track that peaks with a memorable chorus. The rhythmic and haunting ‘Oh Brother’ opens the album with a subtle backbeat and effective backing harmonies supporting the listeners introduction to Laurie’s enchanting vocal style. There is a timeless feel to the closing song of the standard album; the very appropriately named ‘So Long Farewell’ a simple but extremely effective sing along number accompanied by lightly flavoured banjo picking. The bookending of the track with a gramophone style crackle adds to the traditional atmosphere that the song is evoking. The lyrical content of most of the tracks implies an enormous depth to Laurie’s song writing and they certainly invoke the flipside to highly explicit story telling. They are best explored on a personal basis and in sync with the melodies that Laurie and her musical collaborators have created to support them. The strength of this album is the amalgam of the sophisticated song writing and simple arrangements, all held together by the striking vocal style of Laurie. So welcome to the UK, Laurie Levine, with the live performance of this album being eagerly anticipated. It may also signal an influx of artists from the perhaps soon-to be discovered rich seam of South African talent showcasing their interpretation of Americana–style, folk and roots music.